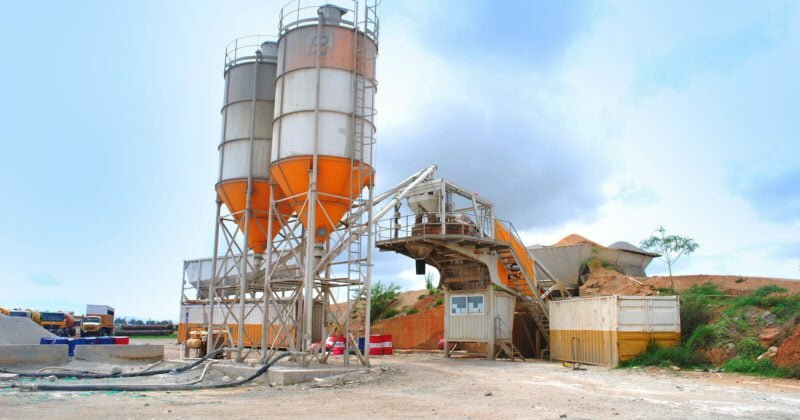 We manufacture concrete of the highest quality and from aggregates produced at our own quarries. 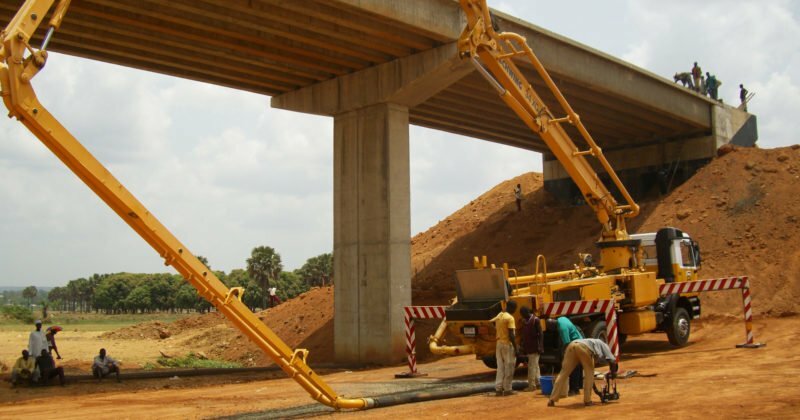 Applications include foundations, drainage, retaining walls, bridges and water retention structures. 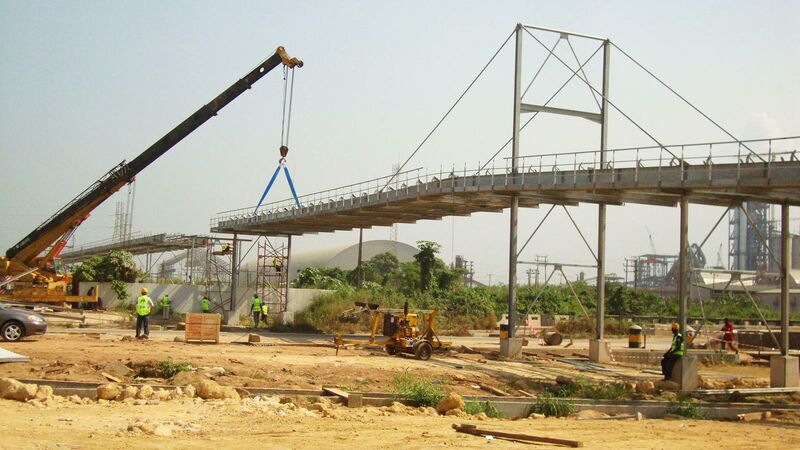 We also carry an extensive inventory of system formwork, enabling fast erection of large structures. 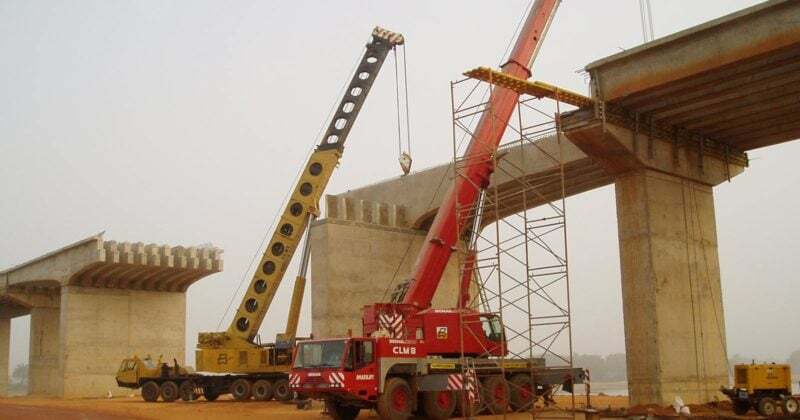 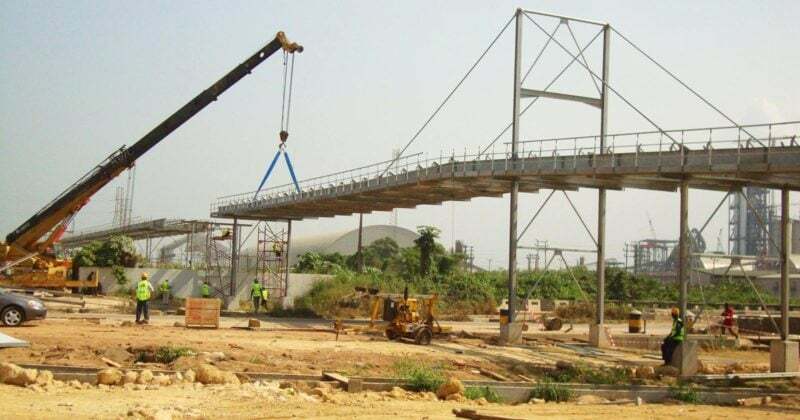 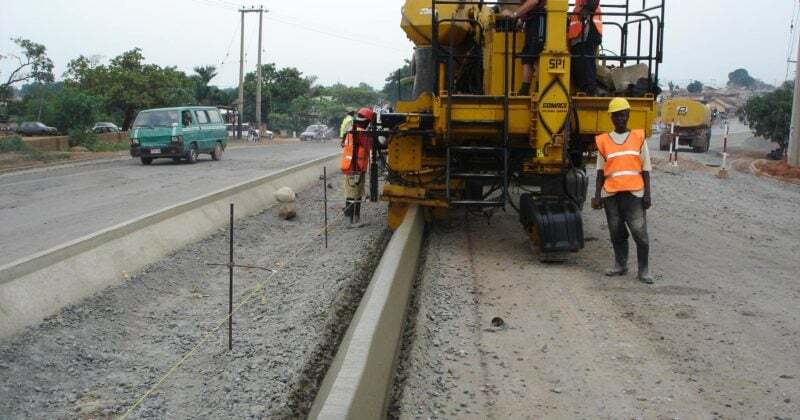 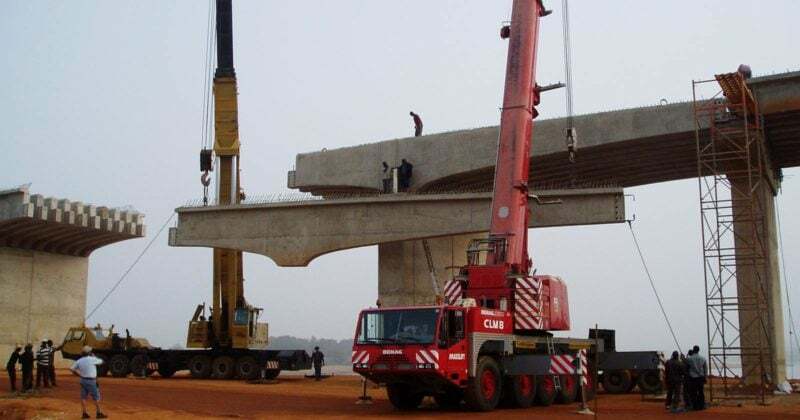 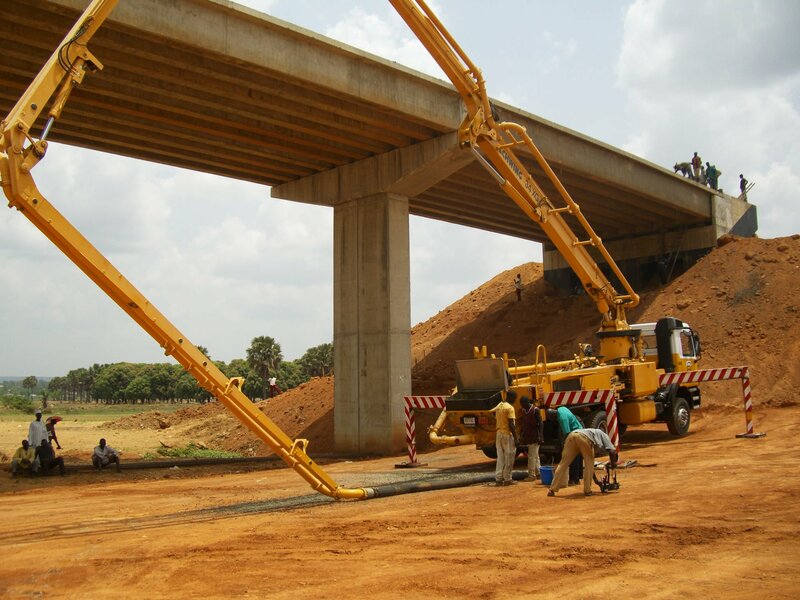 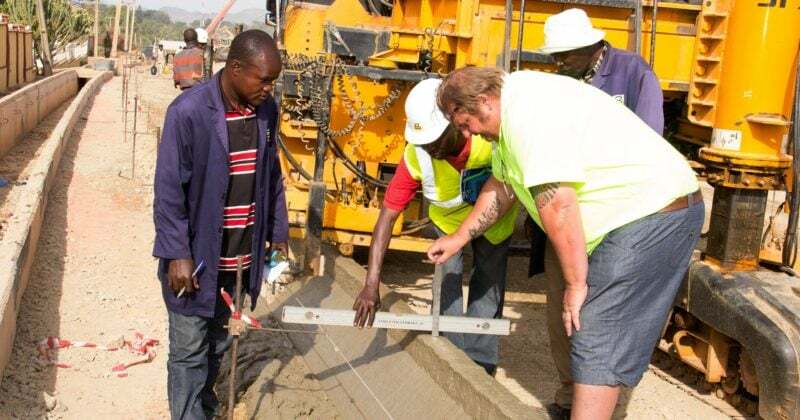 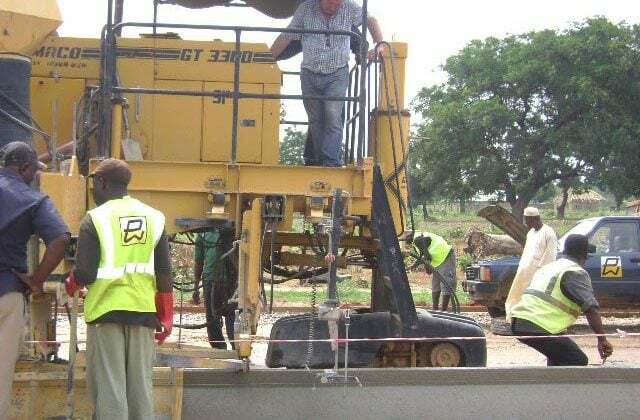 Transporting and placing the concrete is a familiar task, for which we use our fleet of modern bulk cement carriers, transit mixers, cranes and pumps. 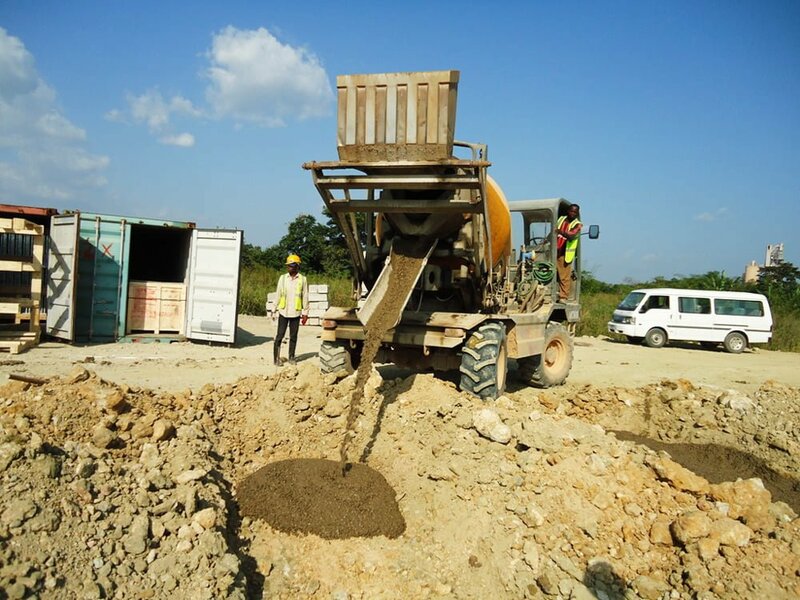 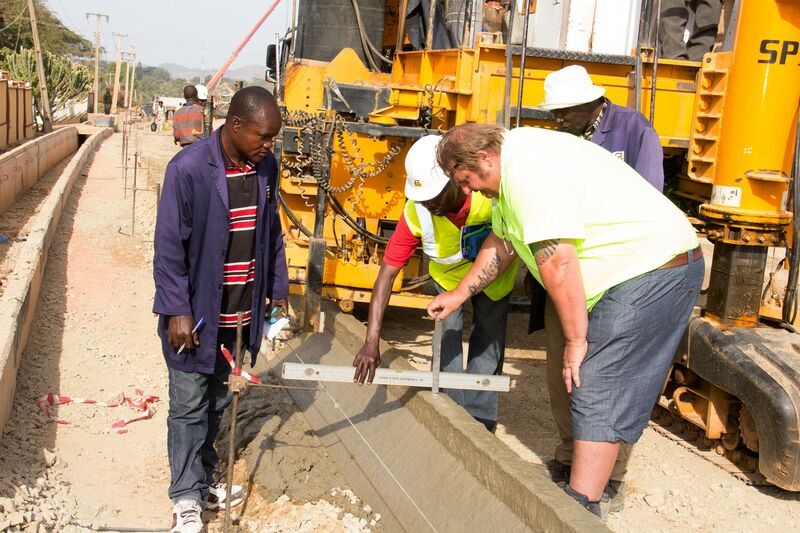 Concrete is an essential part of our operations. 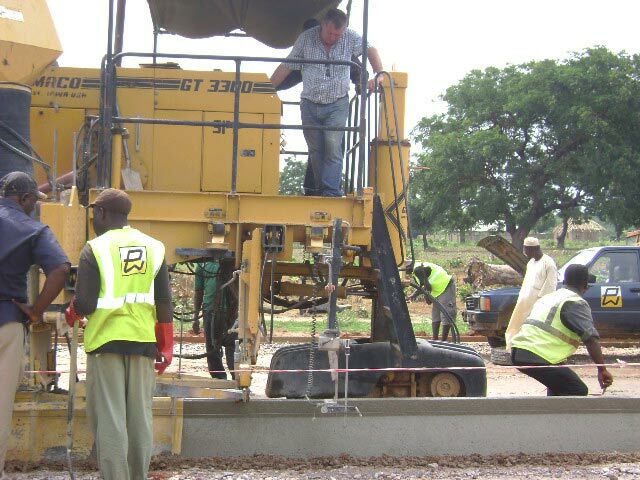 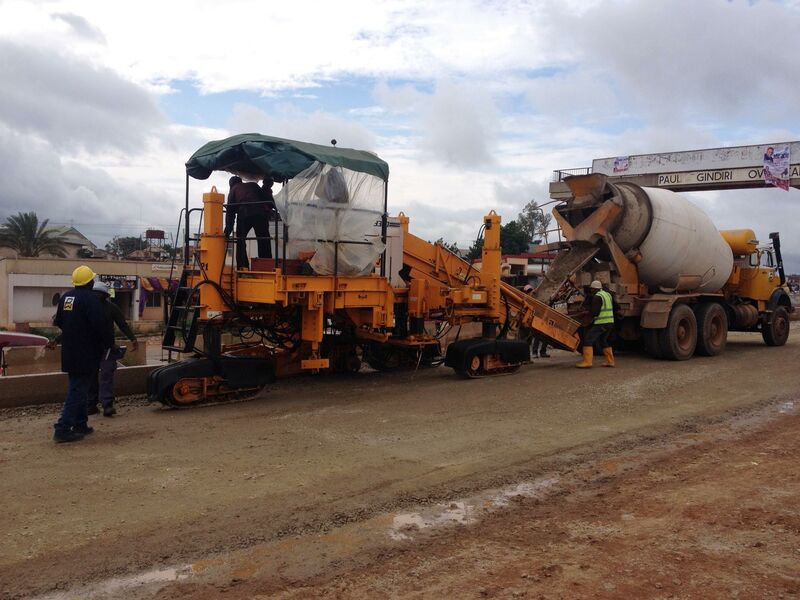 We have our own batching plants, self loading mixers, transit mixer trucks, concrete pumps and slip form pavers. 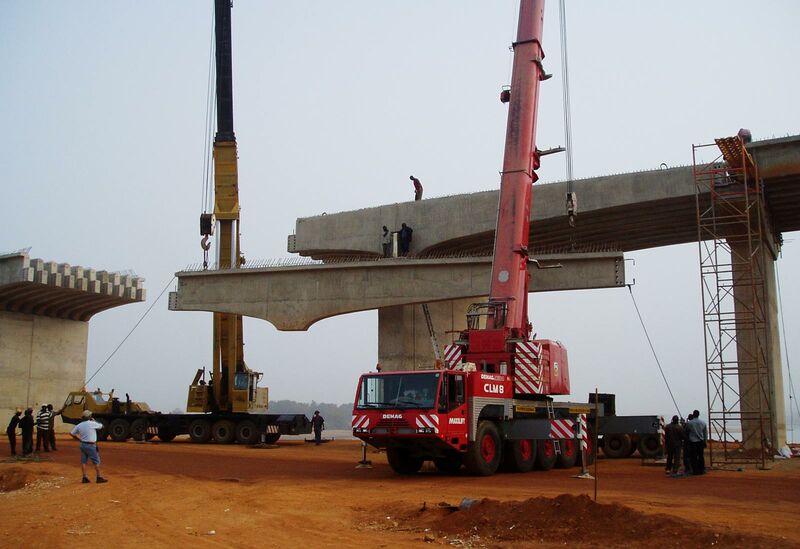 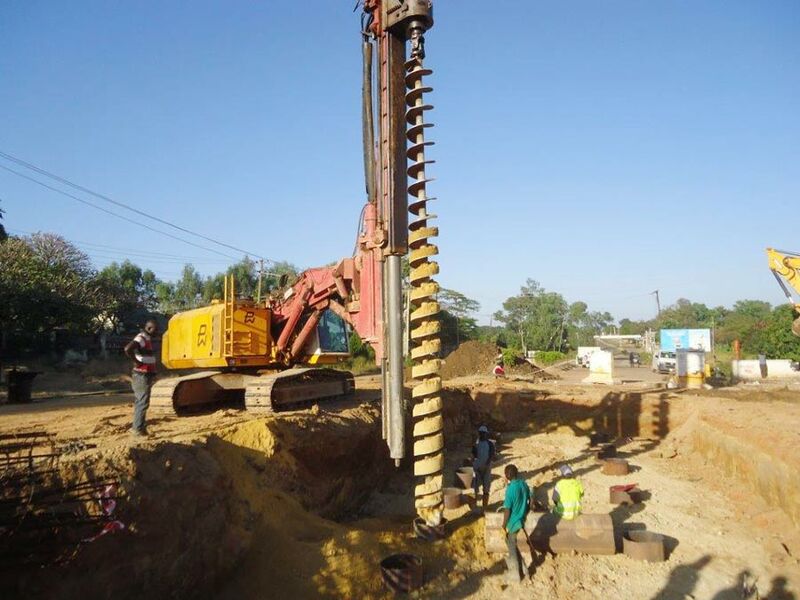 We also operate our own piling rig and run a fleet of cranes to meet all our concreting needs. 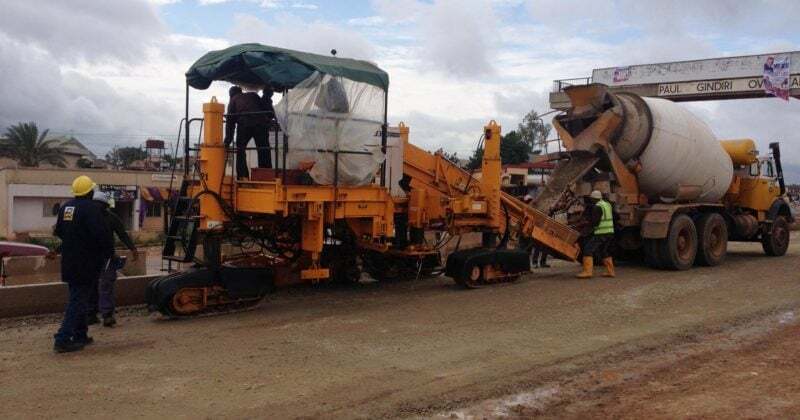 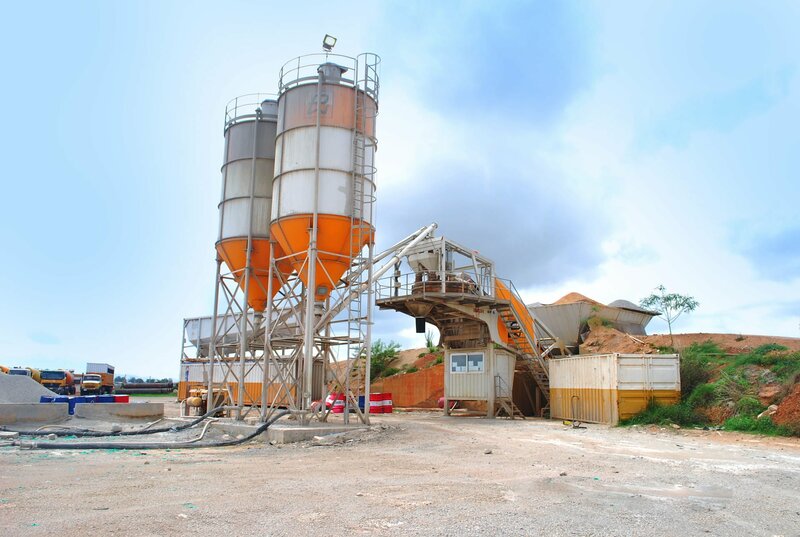 The concrete equipment includes Dry and Wet type fully automated Batching Plants with capacities up to 60 cbm per hour. 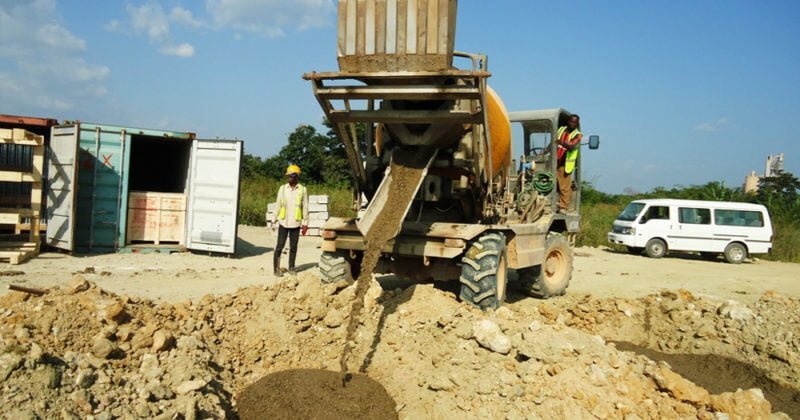 A fleet of Transit Mixer Trucks, Self-loading Mixers, Static Concrete Mixers and Concrete Pumping Equipment is available for placing concrete when and where required. 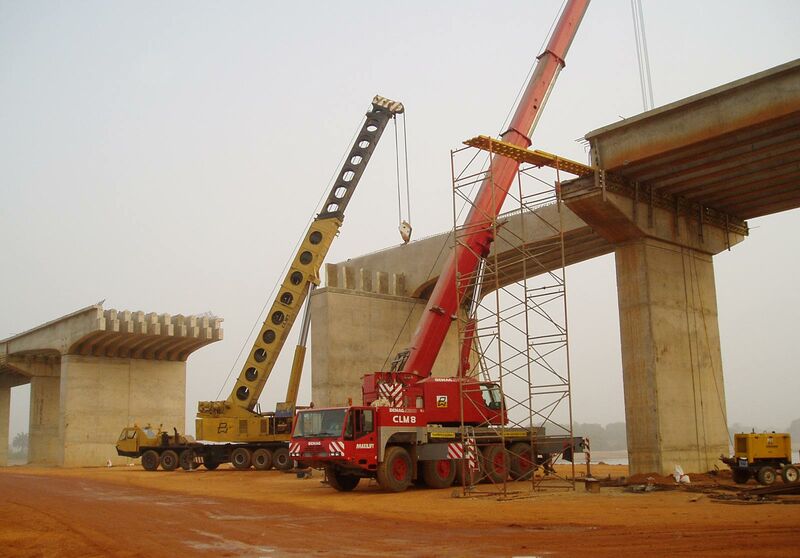 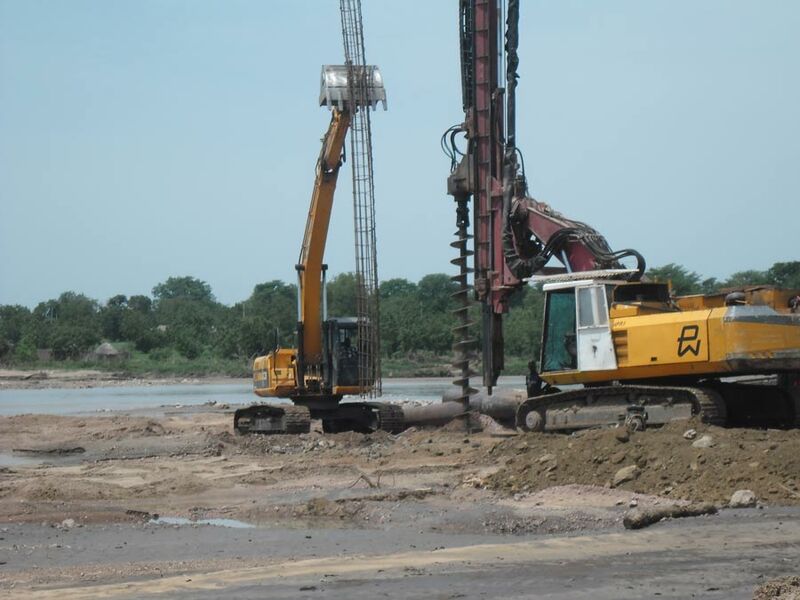 including Rough Terrain Cranes, Mobile Cranes, Tower Cranes , with capacities ranging from 20 to 100 tones. 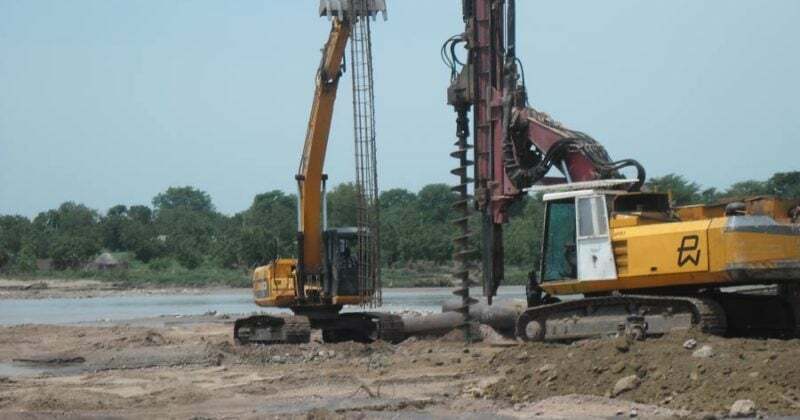 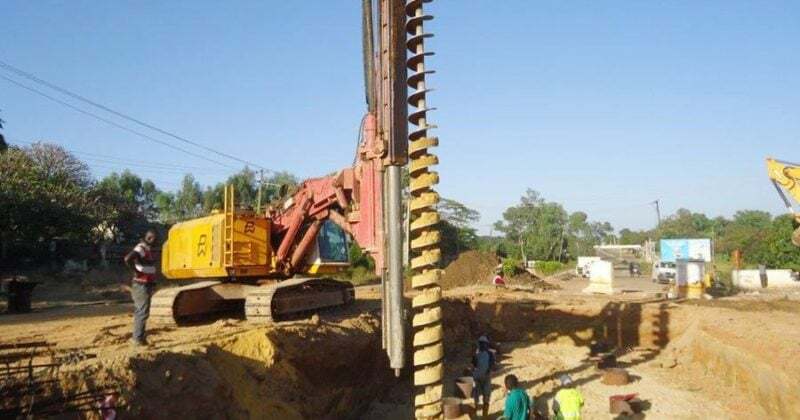 which allows us to carry out all our own piling. 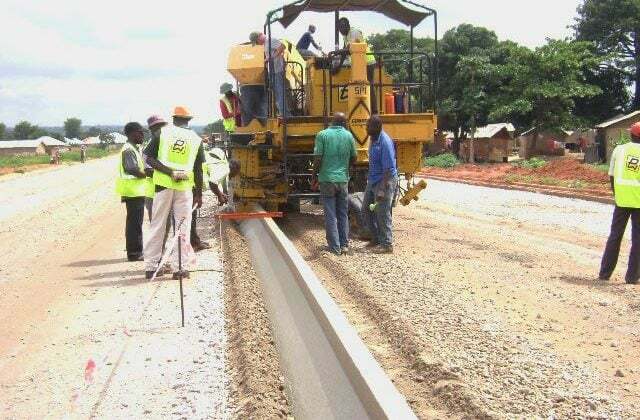 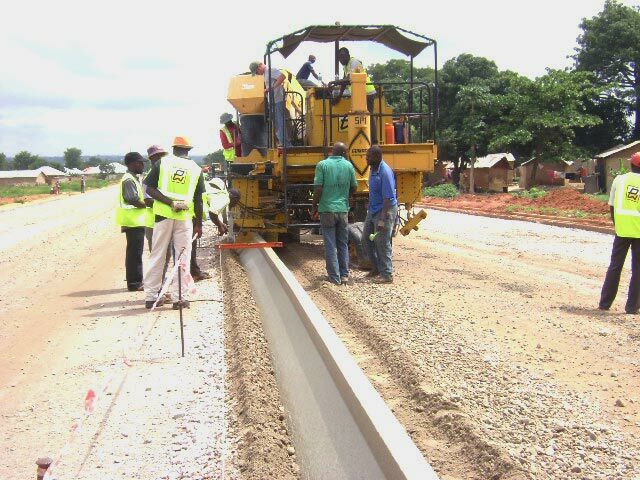 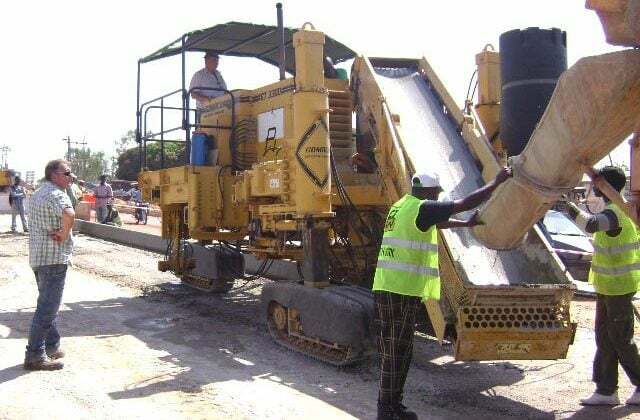 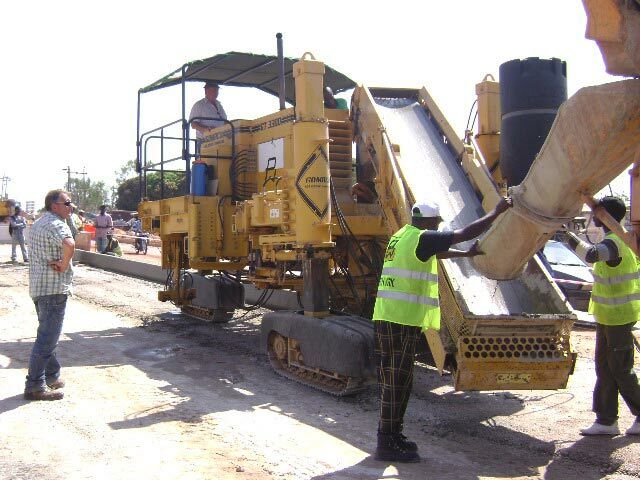 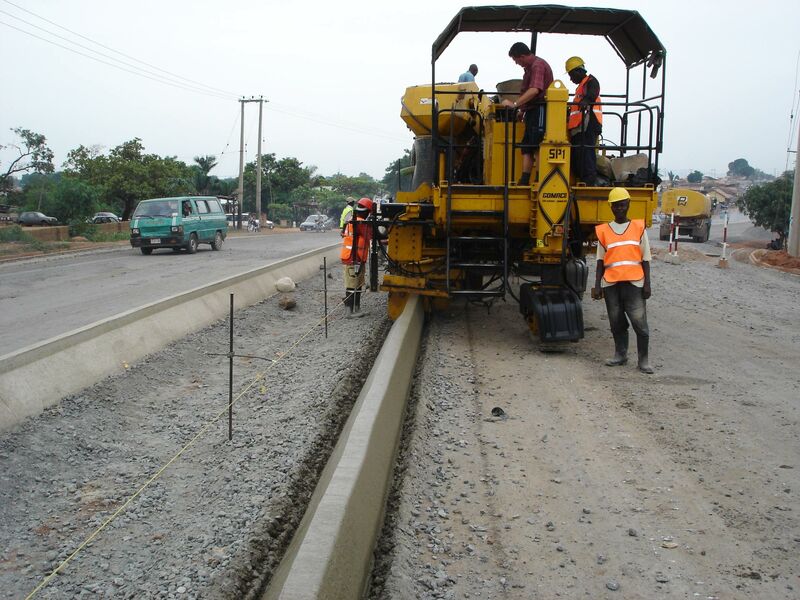 We have Gomaco Slip Form Pavers capable of laying various types of kerbs or barriers continuously.